Scott Nguyen Dental Care is the premier dental care practice in the Northland Community offering the best in rejuvenating dentistry. We combine general care with the philosophy of complete wellness by transforming your oral health. Your health will begin to be elevated by our caring approach for your smile. Dr. Scott Nguyen graduated with honors from the University of Missouri-Kansas City, School of Dentistry in 1995. He did his post-graduate fellowship in the National Health Service Corp for Public Health at Samuel U. Rodgers Community Health Clinic until 1998. Additional post-graduate training includes American Orthodontic Society, The Schuster Center for Professional Development, The Pankey Institute, The Dawson Academy for Esthetics and Restorative Dentistry, Graduate of Advance Comprehensive Skills in CEREC CAD/CAM Technology, Training in fiber-optic Laser Dentistry of the Diode Laser and Bioesthetic Dentistry. He is also a member of the International Dental Implant Association and Crown Council. 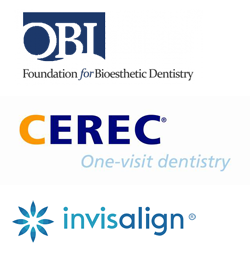 Certifications include but not limited to Invisalign – Orthodontic Treatment and Tradition Orthodontic Treatment. In 2012 Dr. Nguyen became 1 of 300 dentists in the world to complete post graduate training in a fellowship residency in OBI Foundation for Bioesthetic Dentistry (Advance Education and Treatment in TMJ, Occlusion, Cosmetic Dentistry and Sleep Apnea). 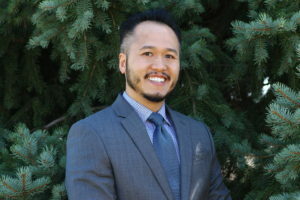 As a native of the the Kansas City Northland, Dr. Nguyen has dedicated himself and his team to contributing a high level of care to the surrounding community in which he grew up. Starting with his first practice in 1999, the team continues to grow and serve the community by applying the best technology and wellness techniques. Outside of the practice, he and his wife enjoy spending time with their family and friends.